Legal procedures for the adjustment of the cost of the first metro line project of HCMC have yet to be completed, resulting in a delay in capital disbursement. In an urgent notice to the prime minister about the capital advance for the metro line which connects Ben Thanh Market in District 1 and Suoi Tien Park in District 9, the Ministry of Planning and Investment (MPI), citing the foreign capital investment plan for the 2016-2020 period, said that the project would be allocated more than VND7.5 trillion (US$325 million), Tuoi Tre newspaper reported. The project received some VND4.02 trillion in 2016 and 2017. However, no fresh funds have been released to the project since 2018. The MPI ascribed the delay in capital disbursement to the incomplete regulatory procedures for the revised investment. At the same time, an allocation of foreign loans from the central State budget has not yet been determined. The MPI also mentioned a proposal for the prime minister to approve an advance of more than VND2.15 trillion (US$93 million) for the project from the central State budget. If the project receives the advance from foreign loans, it would break the Law on State Budget since there is no basis for confirming the possibility of capital allocation in the following year for the project, according to the MPI. Therefore, the MPI proposed the Ministries of Finance and Transport and the HCMC government work together to clarify the amount of the allocated capital from the central Government and the project’s disbursed capital. The MPI also urged the city government to speed up the completion of the project’s total investment adjustment procedures. In 2019, the city will receive a total of VND1 trillion in investment capital from the State budget and foreign loans, VND199 billion of which has been allocated so far this year. As such, the remainder, at VN801 billion, has yet to be released, and this sum can be used to fund the project. The MPI also stressed that the ministry can suggest the prime minister send a report to the National Assembly Standing Committee on the allocation of additional funds for the project. The funding would come from some VND5.1 trillion the Ministry of Transport is seeking approval to cut in its 2019 investment plan. As such, the project is in desperate need of fresh funds, with progress being hindered by procedural bottlenecks rather than the shortage of available money. The metro line, whose construction work started in August 2012, is expected to stretch across 19.7 kilometers of land, mostly above ground, and connect the city center with its eastern districts and the outlying district of Di An in neighboring Binh Duong Province. 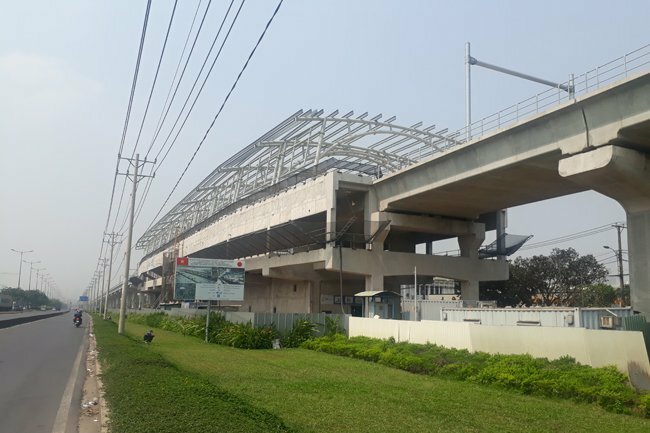 The funding for the metro line has been revised upward to over VND47.3 trillion (US$2.04 billion) from the initial sum of some VND17.3 trillion in 2009.